The McConnell Foundation, along with a growing number of funders in Canada and internationally, is shifting its approach to philanthropy. The traditional model of charitable giving is based on noblesse oblige — the notion that people of means have an obligation to be generous to those less fortunate than themselves. This typically involves individual donations in support of worthy causes such as hospitals, homeless shelters and so on. While acknowledging that this humane response to the needs of others funds can do a lot of good, in the current era we are conscious of the need to address root causes and the systemic nature of problems like poverty, pollution, and the socioeconomic gap between Indigenous and non-Indigenous people. A first principle of this work is to not work alone, but in concert with others. In addressing complex challenges, the practice of foundations acting on their own is profoundly limiting as it perpetuates patterns of privilege and dependency that hold problems in place. Putting too much power in the hands of any one organization dampens the natural dynamism and resiliency that arise from combining the efforts of multiple partners with diverse views and complementary capacities. It’s better to live by the adage that there is almost no limit to what you can accomplish if you are willing to not take credit for it. 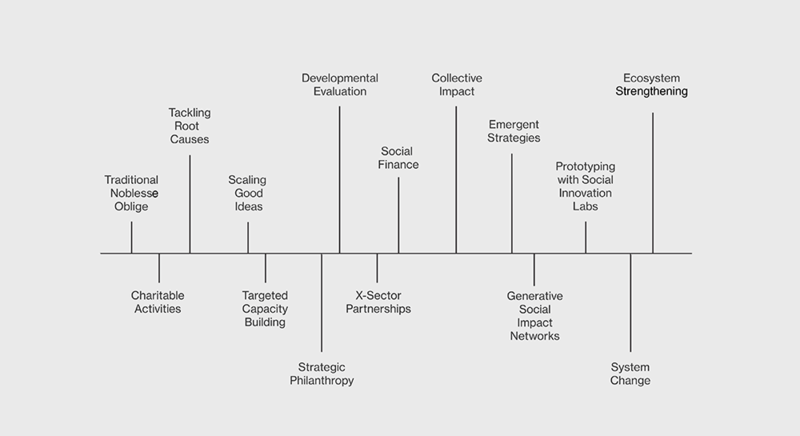 In doing so, we move from rigid hierarchy to networked collaboration — adapting philanthropy to more closely reflect the shape of the complex problems we seek to address. Developing and implementing innovative approaches to complex challenges goes beyond creating new programs, policies or social enterprises. At a more fundamental level it involves deepening relationships among government, finance, business, civil society, academia, media and citizens. Thus we all come to see ourselves as part of local and global efforts to advance the human condition — as expressed, for example, in the UN Sustainable Development Goals, whose final goal is “partnerships for the goals”. At McConnell, almost everything we do involves partnerships. Our aim is to move from an “egosystem” to an “ecosystem”. Our challenges are great, and it seems that the very future of society is at stake. Given the remarkable advances in technology over the past quarter century and the co-evolutionary relationship between technology and humankind, we are led to consider our current situation as one which calls for bold action on the human side of that equation. Along with partners in Canada and around the world, the McConnell Foundation is energized and hopeful that working in concert with others, we can generate and integrate social, economic, ecological and cultural innovation capable of sustaining a flourishing planet of eight billion people. 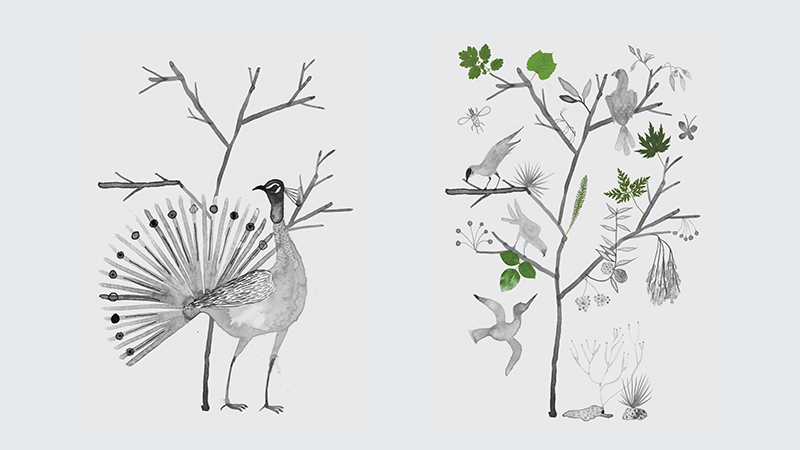 Ecosystem approach: what does it look like in practice? Winnipeg Boldness is a social lab initially established in 2014 as a partnership between the Manitoba government, United Way Winnipeg and McConnell. Its purpose is to improve outcomes for children and families in Point Douglas — a community of 50,000 people, half of whom self-report as being Indigenous. When they begin school, 60% percent of children here are deemed ready to learn. The other 40% face challenges that can impede their long-term success. Boldness is addressing the barriers faced by that 40%. Boldness is led by a group of mostly Indigenous women with strong connections to Point Douglas. Boldness is embedded in the community it serves. It looks at the conditions that create obstacles for families and poor outcomes for kids and co-creates testable solutions, which it calls Proofs of Possibility. Consulting extensively with local community members to create the Child-Centred Model that guides decision making. Boldness exemplifies the ecosystemic approach because it recognizes and draws on the unique strengths of each actor in the community. 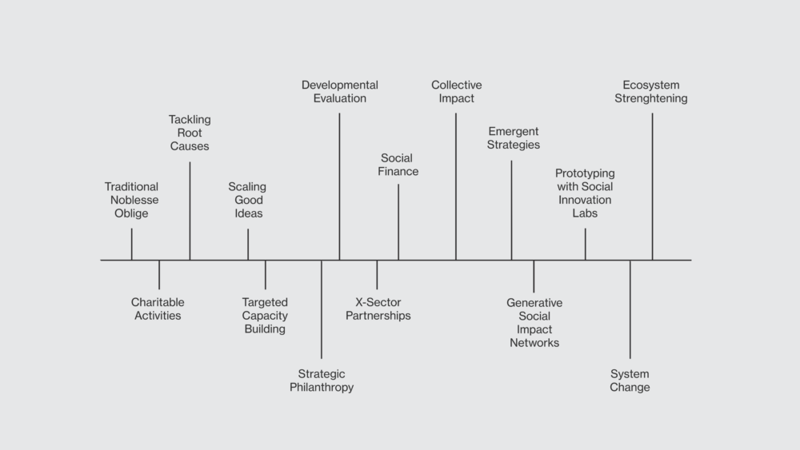 To do this it uses a polycentric governance model comprised of several “Guide Groups” — one each of parents, heads of social agencies, researchers, and Elders, as well as a partners table and one for funders. It also participates in creating collaboration at different scales — such as the Winnipeg Promise committee chaired by the Mayor, which brings all sectors of the city together to improve take up rates for the Canada Learning Bond, and in ongoing relations with provincial officials. Since the inception of Boldness, many other funders have supported the initiative. We plan to add more resources to the McConnell website over the coming months that will provide more examples of the ecosystemic approach.